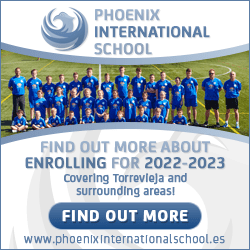 During the summer months, the ‘village’ of Torrevieja sees it’s population swell from around 100,000 residents to over 600,000, primarily because many ‘residents’ from Madrid and the North of Spain, make the journey south to enjoy their second homes, our beaches and hospitality. Over the years, the City Council have been adding more summer attractions for visitors and residents alike and 2009 is no exception. This year, the Summer Campaign goes by the name ‘You choose’. The ultimate objective is to provide more tourist information through a re-design of the City Map, new leaflets about the Salt Industry Interpretation Centre, addition of the sailing ship ‘Pacual Flores’ and ‘Magic’ Catamaran, free guided walking tours of the City of Torrevieja plus information officers from the Tourist department out and about on their ‘Segways’ handing out information and advice to those who wish it. Walking Tours that visit the major sites around the city centre, take place every Tuesday and Thursday until September 15th and can be booked by phoning 666579949. They are designed for groups of 20 but individuals and family can call regarding availability. The main purpose of the tours is to promote the history of the city and to continue to publicize the relationship between Torrevieja, sea, salt and culture. 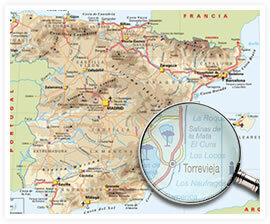 This pocket guide to the city is also the basis for a new Tourism Lifestyle Website to be launched this summer on www.DiscoverTorrevieja.com and www.CostaBlancaTV.com to provide visitors with more helpful information about the city before they even leave home.